Welcome to this recently updated home. New cabinet doors, new microwave, new lighting, fresh paint and new fixtures and new carpet. Conveniently located to all major roads, shopping and transportation. 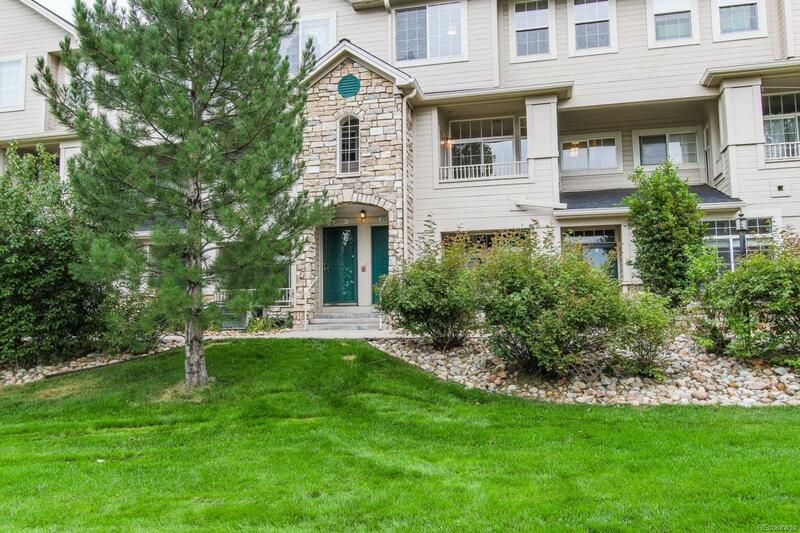 This 2 bedroom 3 bath located on the top floor home offers high ceilings. The open floor plan lends to easy conversation. The patio doors open onto a covered deck with a storage closet outside. The master bedroom has new carpet and an ensuite bath with one walk in closet and the another closet. The bathroom in the master bath has new tile and a new vanity and lighting. You will not be disappointed with this fresh, updated home. Washer and dryer are in a closet next to the kitchen on the main floor. One close reserved parking space with ample parking for guests. Cherry Creek Schools. Offered by Mb The W Real Estate Group.